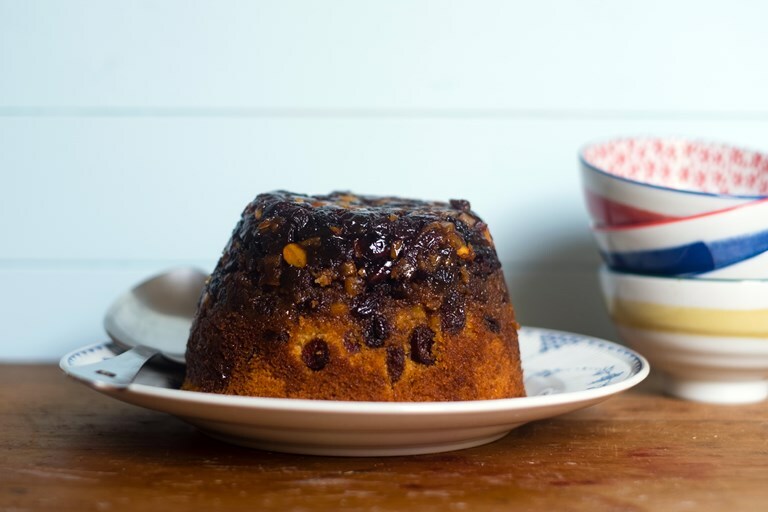 This mincemeat sponge pudding recipe makes a great Christmas dessert, offering a lighter finish than traditional Christmas puddings. You can make your mincemeat on Stir-up Sunday, giving it plenty of time to mature to use in this dessert, or you can whip up a batch just before cooking. Homemade mincemeat is so much tastier than shop bought, the combination of good quality dried fruit mixed with spices and alcohol tastes so festive and warming. Sometimes recipes that include mincemeat can be heavy and quite dense, if you want a lighter alternative to the traditional offerings, this mincemeat doesn’t contain suet and is very quick to make with minimal preparation and cooking needed. This recipe makes more than you need for the sponge pudding, but there are plenty of other things you can use the mincemeat for, I particularly like a spoonful on top of some warm porridge. This mincemeat sponge pudding is a great quick fix pudding, it’s baked instead of steamed, so it has a much shorter cooking time than traditional sponge puddings. Also most of the ingredients you would normally have in the cupboard, so if you have last minute guests this is a pudding you could quickly prepare with very little advance warning! The ground almonds in the recipe help to keep the sponge moist and soak in some of the syrup and juices that bubble away from the mincemeat when cooking. Serve the warm pudding upturned onto a plate with clotted cream, custard or double cream and enjoy.